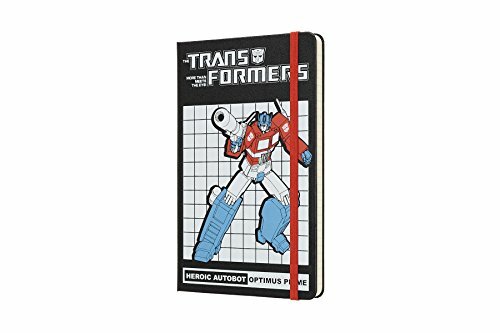 The Classic Notebook has been transformed to convey the dynamic essence of two of the most iconic Transformers characters. These two Transformers Limited Edition Notebooks feature authentic graphics inspired by the original 1984 instruction booklet, including signature colors, fonts and memorable background grid. Choose either Optimus Prime or Megatron to represent your notes as you transform inspiration into concrete ideas.